Since my very first Christmas Eve, my Dad read The Night Before Christmas to me before tucking me in to bed. When my brother arrived a few years later, he was in on story time, too. 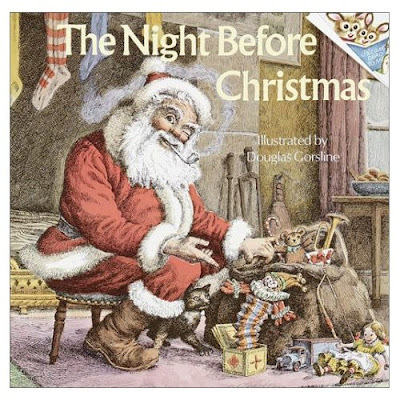 My Dad continued reading the same book to us every Christmas Eve, through our teens, and up through my last Christmas living at home with my parents. Even as we grew older, it never seemed silly to us as we curled up with him on the couch. Over the years, he started to add his own comments as the story was read, which would always make my brother and I laugh or roll our eyes at his humor. That tradition is something that I will keep with my forever, and I'm sure my brother feels the same way. Hopefully, my husband and I will be able to carry on the tradition in the future.